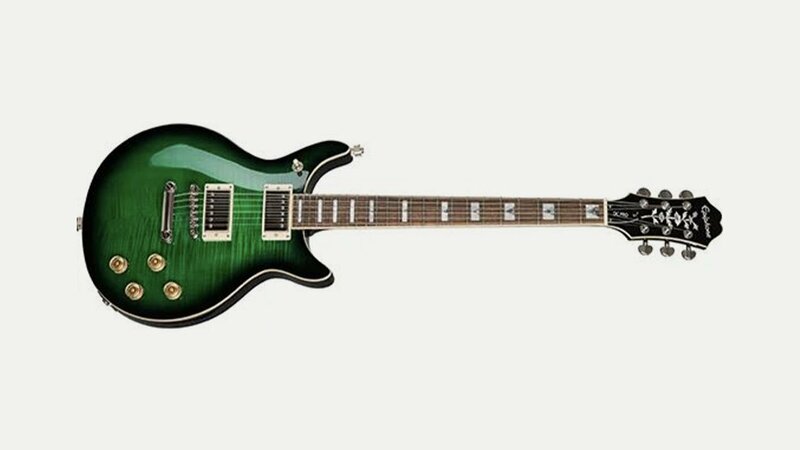 The first new Epiphone guitar for 2019 harks back to their 70’s catalogue: the DC PRO is a modern take on the classic Del Rey Double Cut design. Featuring a double cutaway solid Mahogany body with a AAA Flame Maple Veneer top, ProBucker™ humbuckers with coil-tapping, a treble bleed circuit to maintain clarity at reduced volumes, and Grover™ 18:1 ratio tuners. Available in Black Cherry, Faded Cherry Sunburst, Midnight Ebony, Mojave Fade, and Wild Ivy.